Iaconi-Stewart's model is of an Air India 777-300ER. To make the project even more challenging, he decided that he wanted to make his model realistic, even in areas that were not usually seen, and to make many of the technical components including engines, doors, and landing gear functional. Iaconi-Stewart studied YouTube videos of Boeing 777s landing and taking off to work out how the thrusters and landing gear operated. The engines alone took him five months and he has spent two years working on the wings. The seats alone took an entire summer: 20 minutes for each economy seat, four to six hours for a business class seat and eight hours for each first class seat. The plane is complete down to tiny details like bolts, hydraulic pipes, hinges. seatback entertainment systems, the hidden crew's “rest module” and even food carts in the galleys. Iaconi-Stewart did take a year out of his project to work on an advert for Singapore Airlines. All going well, he hopes to compete his Air India 777-300ER by the end of 2017. For more information visit www.lucaiaconistewart.com and his YouTube channel. Here’s something I bet many of you would like to find under your tree this Christmas: Anki DRIVE. 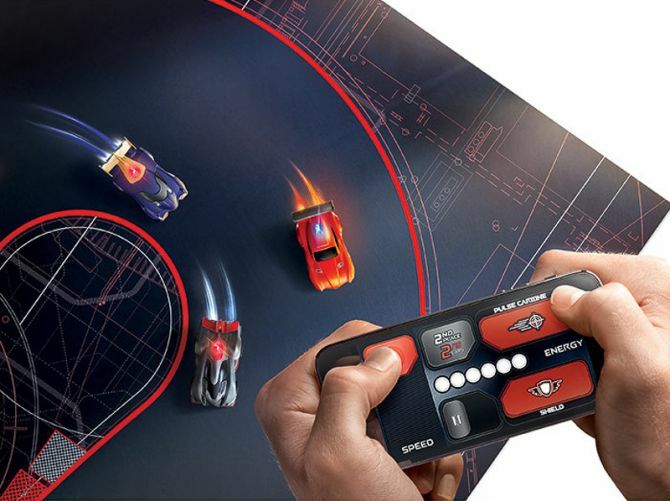 Described as “part toy, part video game, all out battle-racing action,” Anki DRIVE is an extreme car race that has taken the virtual gaming world and brought it to real life. Well, almost. This Scalextric set on steroids contains artificially intelligent muscle cars that not only steer themselves around a large, oval racetrack, but have built-in weapons capabilities to throw enemies off-course. And it can all play out on your living room floor. The Belgian village of Châtillon is a pretty unassuming place. A stone’s throw from the border with France and Luxembourg, it forms part of the sleepy commune of Saint-Léger which boasts a modest population of 3,500 people. Paris, New York or London it ain’t, but Châtillon has nevertheless attracted a fair few tourists over the past decades, curious to see and take photos of an eerie phenomenon on the outskirts of town. 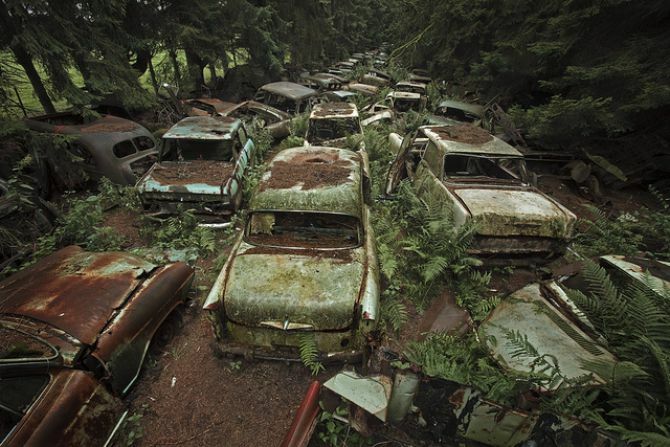 For over half a century, until just a few years ago, the forest surrounding Châtillon was the home to what can only be described as a ‘car graveyard’. The ancient, pre-Christian Celts believed that there was one day of the year when the ghosts of the dead mingled with the living. This day, called Samhain, was a time to pay tribute to the spirits of their departed ancestors. Nowadays, this tradition has evolved into “Halloween”, where the dead have become a creepy costume and rather than honouring them, we often find them terrifying. In his workshop, surrounded by what looks like a set of props from a Hollywood horror flick, Maskull Lasserre seems to be reinvigorating this ancient Celtic tradition, repurposing familiar objects into macabre sculptures and carvings. 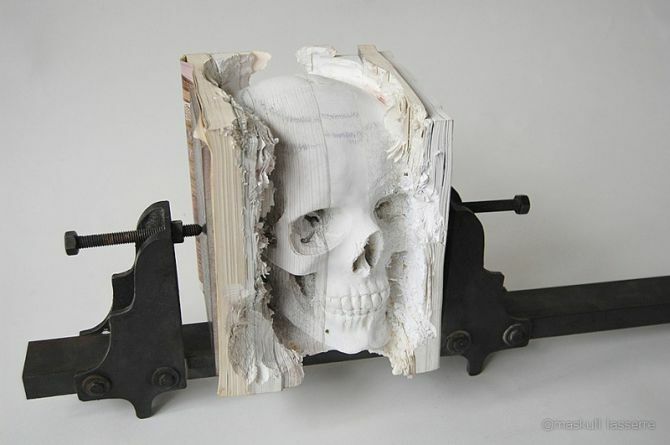 Where there were once bell jars, tree branches or axes, Lasserre has chiselled intricate skulls, nooses and snake skeletons. 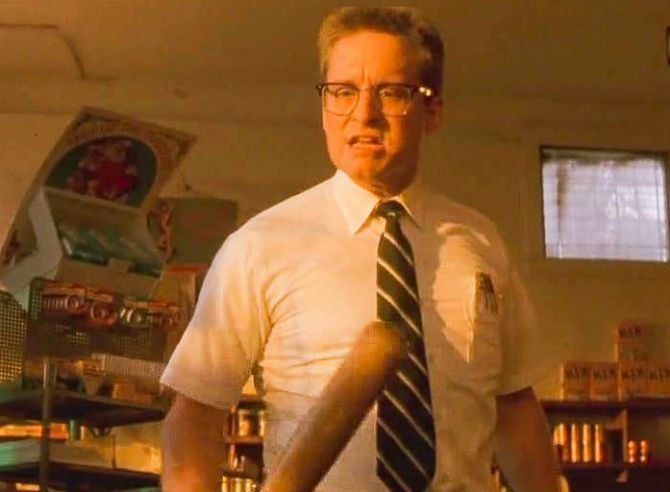 If you haven’t seen the movie Falling Down, then you’re likely to have at least heard of it. The 1993 flick is memorable for Michael Douglas’ fine portrayal of Bill Owen, a freshly divorced, recently laid-off defense engineer who goes on a violent rampage across Los Angeles. If music is a means of self-expression, then drums are the means of expressing ourselves to a lot of people. Drums are a primal instrument whose beat connects us to the beginning of human civilisation much in the same way as fire does. But somewhere along the line, the simple animal-skin drum morphed into the modern drum kit, which is actually a complicated ensemble of different instruments. Outlandish events often begin life in the most banal manner. You need only look at the world of Hollywood blockbusters for confirmation of this. 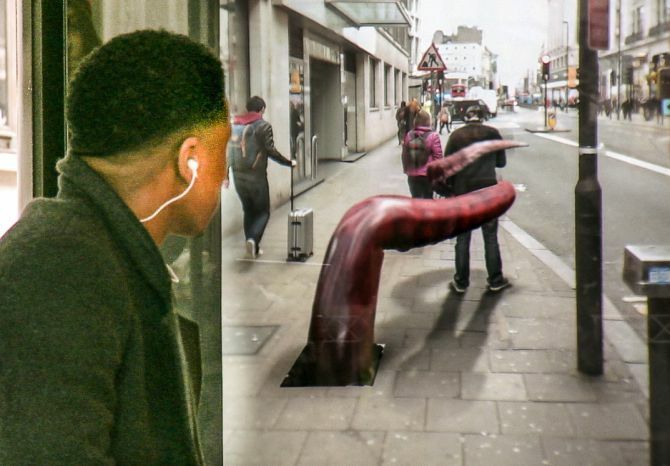 A random person eating a hot dog, mowing the lawn, or waiting for a bus suddenly spots the alien spaceships landing in the opening scenes of a movie. Eyes pop, jaws drop, men stare in disbelief, women scream, and then all the interesting stuff commences. 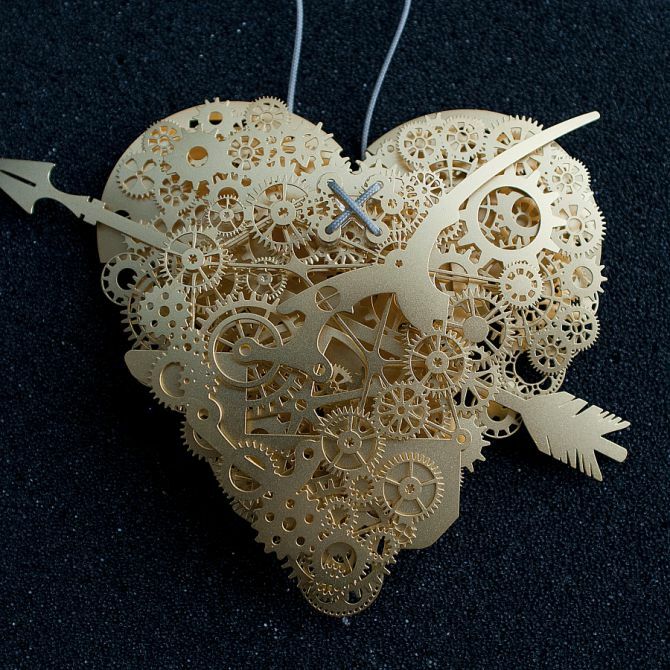 Beautiful 'clockwork' hearts by Dutch design studio Tjep. In case you didn’t know, it’s Valentine’s Day this Friday.